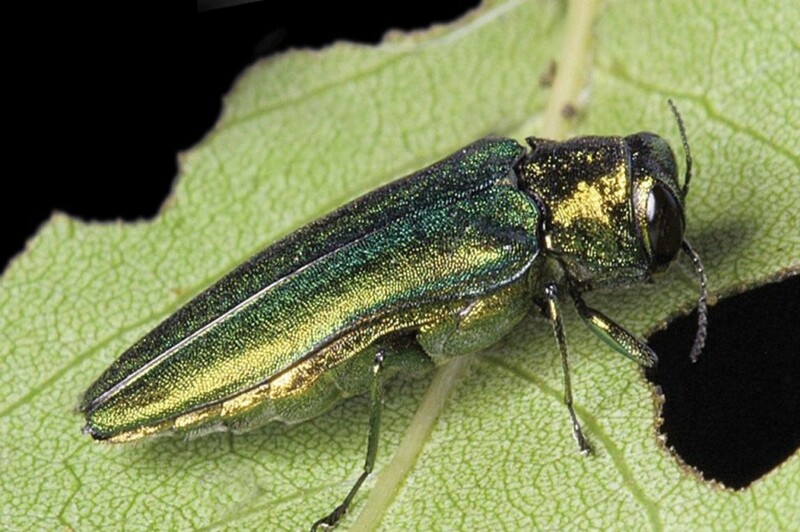 The Emerald Ash Borer (EAB) is a small beetle that attacks Ash trees (Fraxinus species). An adult EAB is about 8.5 to 14 mm long, and has a metallic blue-green colour. Its larvae are creamy white colour with light brown head. The beetle is native to Asia, and is believed to have hitched a ride to North America via wood pallets used in export goods. The EAB was spotted in North America in 2002, but probably first arrived in the early 1990’s. This invasive species has killed tens of millions of Ash trees all over the continent. 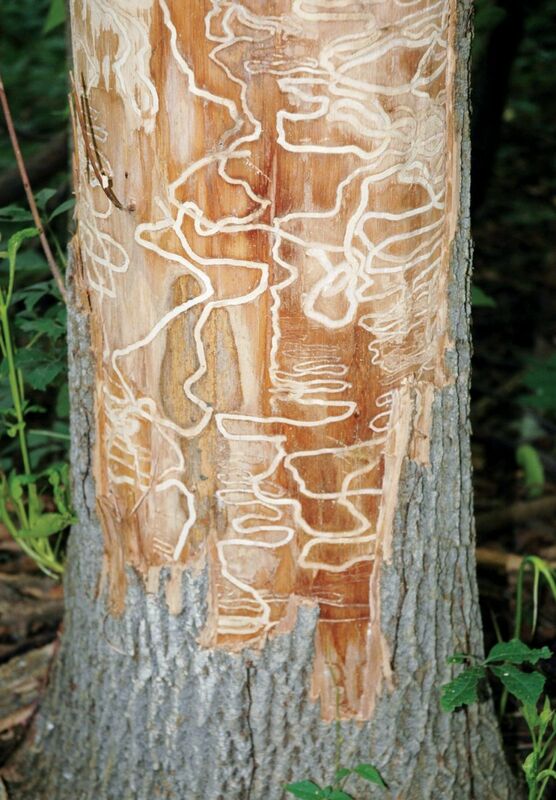 Canadian Forest Service (CFS) scientists estimate that over a 30-year period, the costs for treatment, removal, and replacement of trees that have been infected by the Emerald Ash Borer may reach $2 billion! The adult EAB isn’t what kills the tree; it’s the larvae that do the damage. Infected Ash trees have a 99% mortality rate. The beetle has not yet been found in Manitoba, where we have two native species of Ash: Green and Black. These species of trees will very likely disappear once the EAB reaches our province, as the insect has already wreaked havoc in Ontario and Quebec. Therefore, we need to do everything we can to prevent this pest from infecting our forests! To learn more about the signs and symptoms of Emerald Ash Borer and report any symptomatic trees or wood products, you can call our Forestry branch’s Sustainable Development tree care line at (204) 945-7866. Visit the Forestry Branch website for more info!